The Hygloss Bright Books feature a tagboard cover and blank, white bond paper pages. Ideal for sketching, writing, or scrapbooking, the covers and interior pages can accept a wide variety of media. 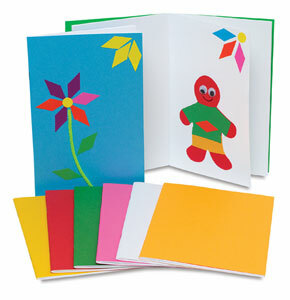 Bright Books — Books are available with white covers or assorted Rainbow Brights colored covers. Each book is 5½" × 8½" (14 cm x 22 cm) with 32 blank pages. They come in packs of 20. 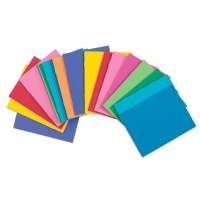 Mini Bright Books — These mini multi-use blank paperback books feature smooth, brightly colored tag paper covers and 12 pages of bond paper inside. Available in an assortment of bright colored covers, each book measures 4¼" × 5½" (11 cm × 14 cm). They come in packs of 20.